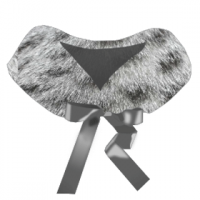 Following the article on sewing faux fur on this blog, here is a little selection of free sewing patterns, specifically designed for fur. The instructions are mainly in French, some in French and German (Burda). But only beginners might need instructions because most of this projects are quite simple to sew. Anyway you’ll find a French-English sewing dictionary on this blog and I’m always happy to help with a translation if needed be. Free sewing pattern from “C’est Dimanche” (= “It’s sunday”). I’m sewing this one this week for my DD. This pattern is offered in sizes 3/4 years, 5/6 years et 8 years. Pattern for a lined, short and straight fur jacket by “Avantages” (French women magazine) in French sizes 38-46. Free pattern for a short fur vest by Burda, French sizes 34 – 44. Free registering is required to download the printable pattern. Long vest in fake fur (long hair) by Burda French sizes 34 – 44. I’m also sewing this vest this week, the fur is cut already. 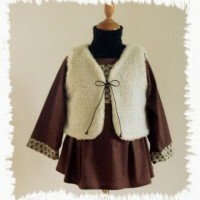 Here is a tutorial to sew a removable collar in fake fur offered by the website “Petit Citron”. This entry was posted in Blog, News and tagged Free patterns by Véro. Bookmark the permalink.